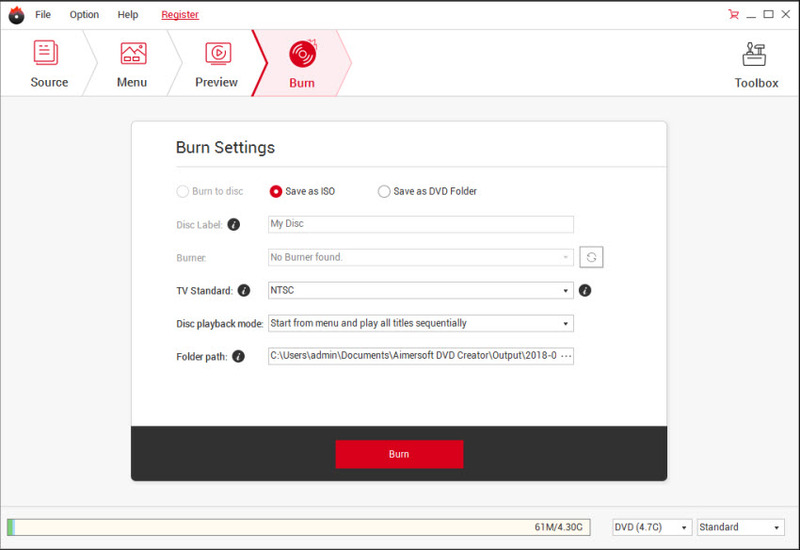 After you install Aimersoft DVD Creator, just follow the tutorial below to burn videos to DVD on Windows PC. If you are a Mac user, please go to Mac version tutorial. 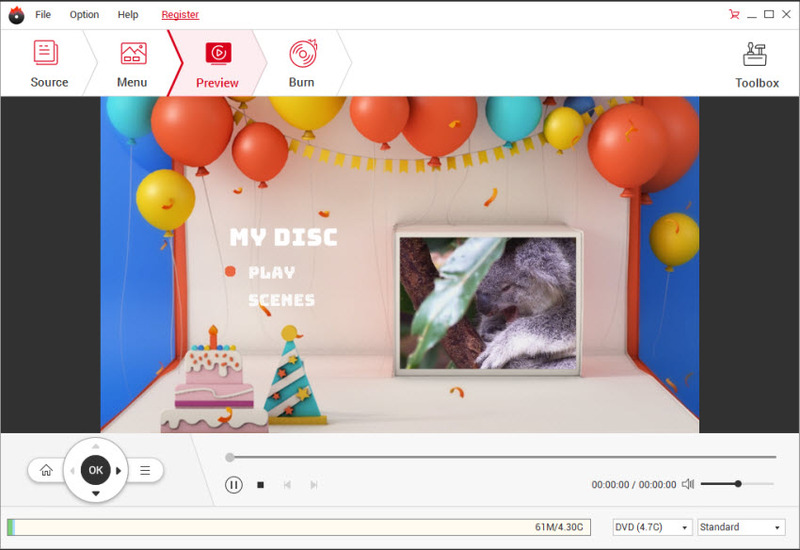 Download, install and launch Aimersoft DVD Creator. Then follow the tips below to burn your videos and photos to DVD for play on your home DVD player or TV. To add files, click the "Import" button to browse your computer's folders and select video and audio files, or simply drag-and-drop files directly into the main window from your desktop or from an open folder. When the files are loaded, you can preview them on the right and organize the DVD titles. To start editing your photos or video, just click the edit button located next to each file to bring up the editing window. 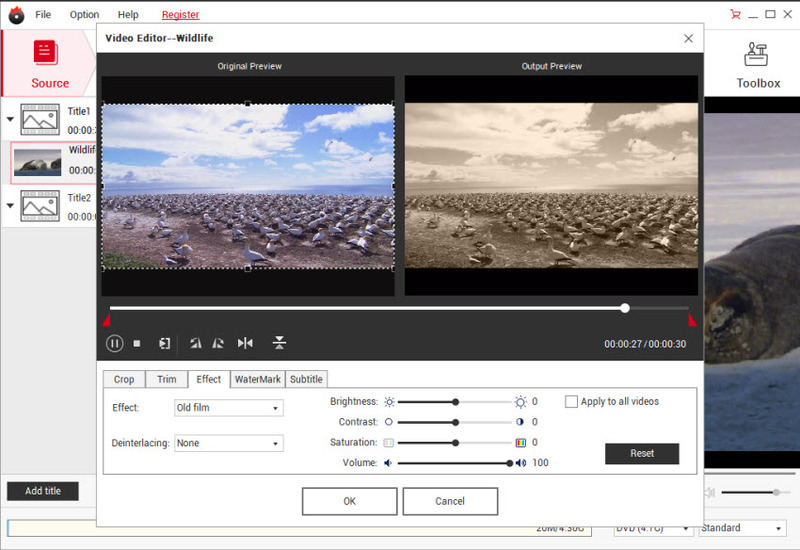 Now you can crop, trim, add watermarks, insert subtitles or adjust video effects and more to personalize your DVD. 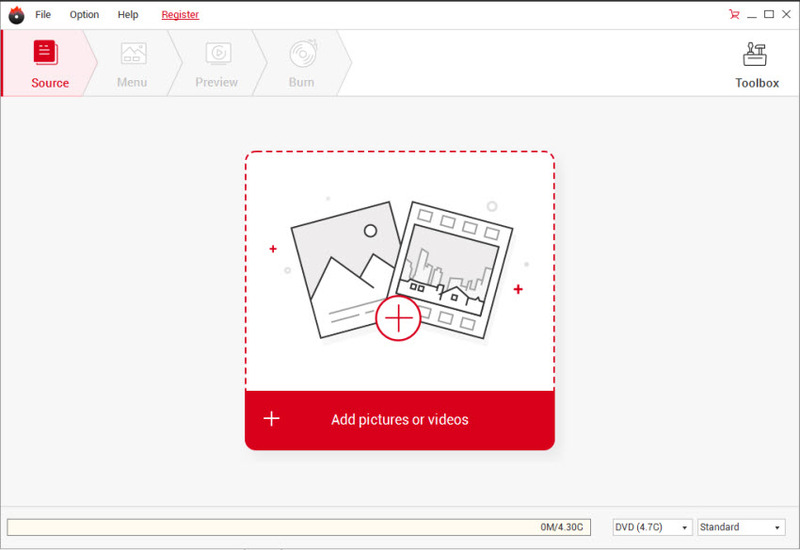 For photos, editing functions include rotate, add text, add transition effects, and add background music. You can also set the font, color, style, text size, as well as the view duration of each photo and transition. For background music, select your favorite song and trim it to seamlessly fit the rest of the show. Set audio fade in and fade out effects and adjust audio volume to achieve better audio effects. 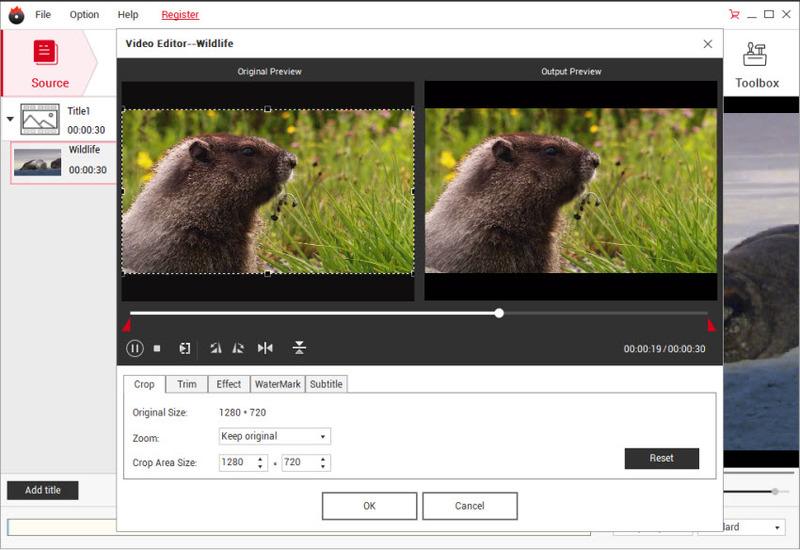 Tip: By clicking the Settings button beside Profile, you can adjust the output video/audio resolution, frame rate, bit rate, etc. to customize the output files to get the best quality you want. Lots of free built-in DVD menu templates are provided to help you make the most personalized DVDs. You are also able to customize DVD menu background image and add background music. Check here to get more free DVD menu templates. Tip: Just note that you can add search movie metadata only when the output format is MP4, MOV, M4V or iDevices output presets. Before you begin burning your DVD, you can click "Preview" to view your DVD project. Now click on the "Burn" tab to burn your videos to DVD. 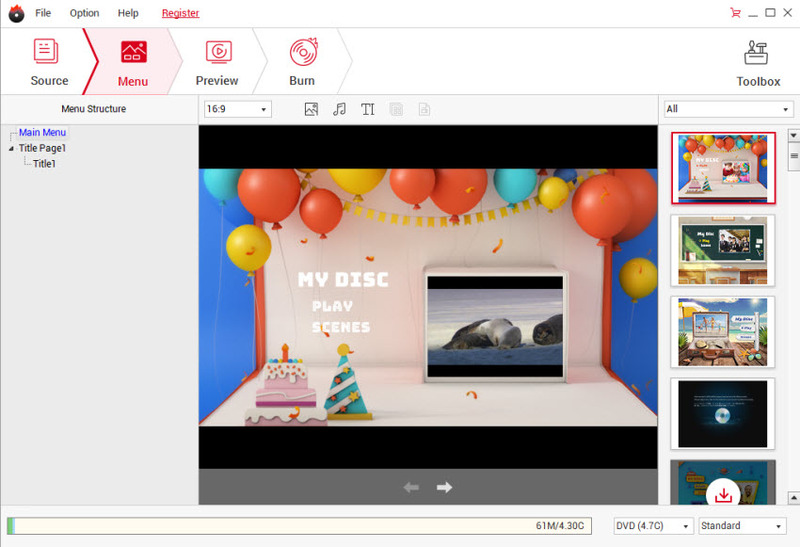 DVD Creator gives you three output options to choose from: DVD disc, DVD folder, or ISO file. You can also adjust the burning settings as you like.